Jad Daley, President & CEO: The Global Climate Action Summit represented a permanent and historic turning point for forest-climate solutions. In the past, forests were treated as a side issue, if at all. At this Summit, forests took center stage. 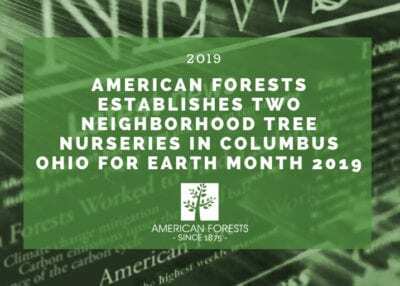 American Forests helped make this happen by working with the 17 states of the U.S. 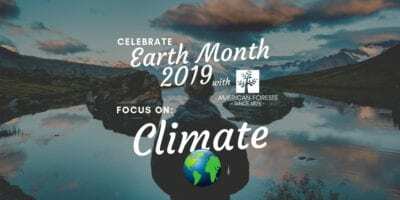 Climate Alliance to develop a shared Natural and Working Lands Challenge. 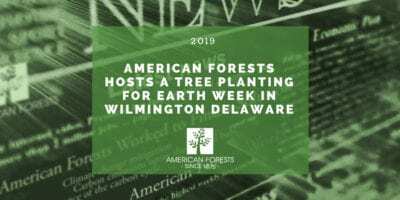 This puts these states in the lead on forests and climate change, and will lead to billions of dollars in new forest restoration investment. 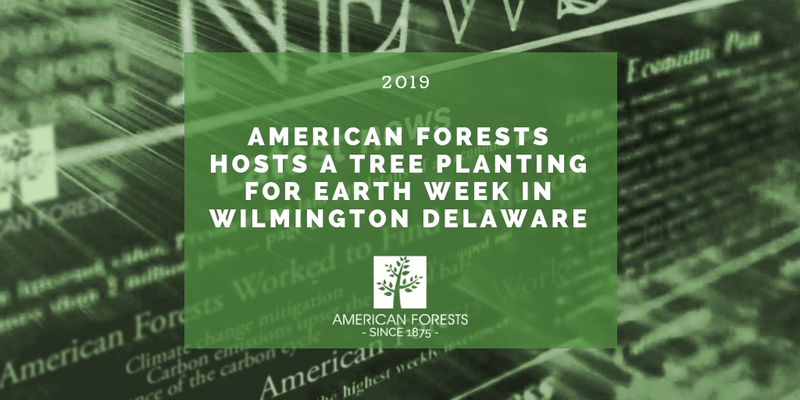 American Forests’ partnership role was celebrated as part of the Alliance’s high profile announcement of the NWL Challenge, including our pledge of 10 million trees to be planted in these states. 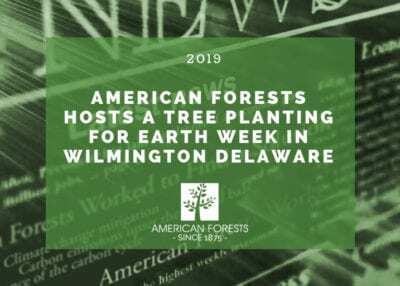 We return from this Summit more resolute than ever – America must act on climate change, and American Forests must provide bold leadership with all of the resources, skills, and resolve we can muster. Rebecca Turner, Vice President and Chief of Staff, General Counsel: As a delegate to the proceedings of the Global Climate Action Summit, it was amazing to see the land sector, and forests specifically, take center stage. 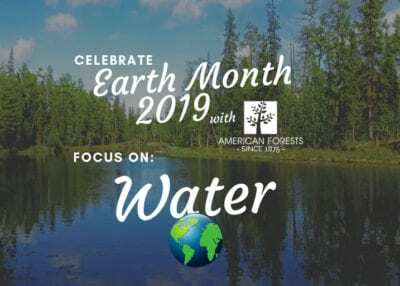 Forests are a key part of the solution to meeting the carbon reduction commitments set by the international, state, local, private and NGO sectors. American Forests is ready, with our partners, to make this happen, from cities to wildland forests. Eliza Kretzmann, Urban Forestry Manager: Planting trees in the Tenderloin was a high point – the neighborhood is teeming with life, including the challenge of many people experiencing homelessness. 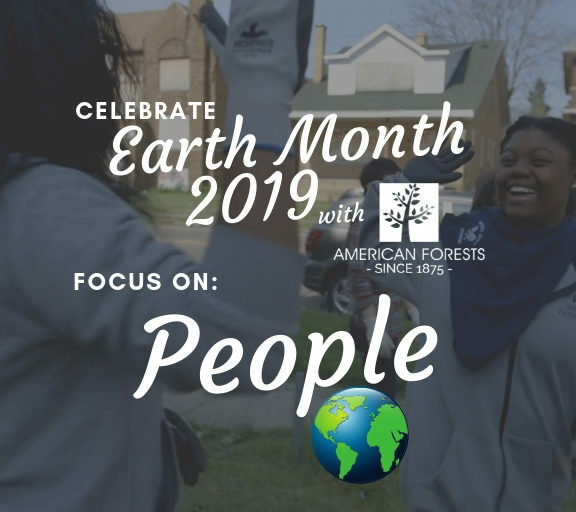 To help plant trees in and for the areas that need them most felt like the right thing to do on our 143rd birthday week – giving the gift of shade, cleaner air, and healthier communities. We could not have done it without local groups – from the City of San Francisco to local tree groups and community groups like Friends of the Urban Forest and Safe Passage Tenderloin – and I am thankful for the rich partnerships and friendships we have in San Francisco. 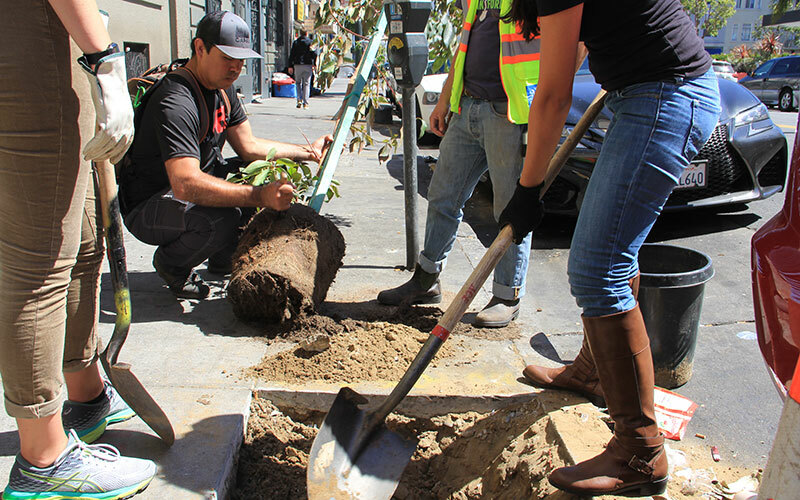 Over 80 trees were planted in the Tenderloin District of San Francisco. 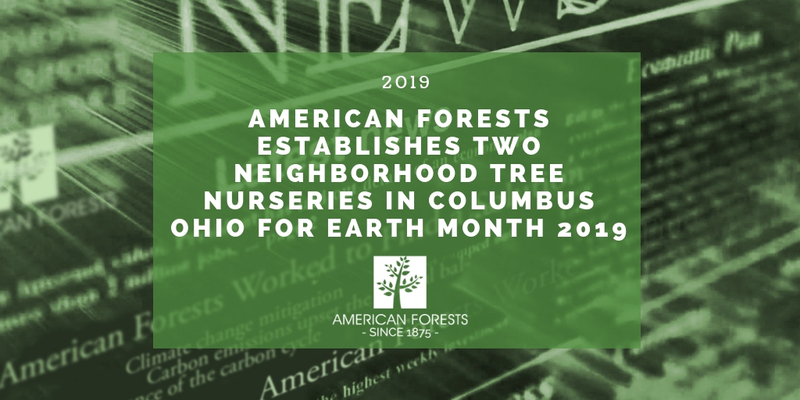 Urban forests are a key to mitigating effects of climate change, including lowering temperatures, reducing stormwater and purifying the air. 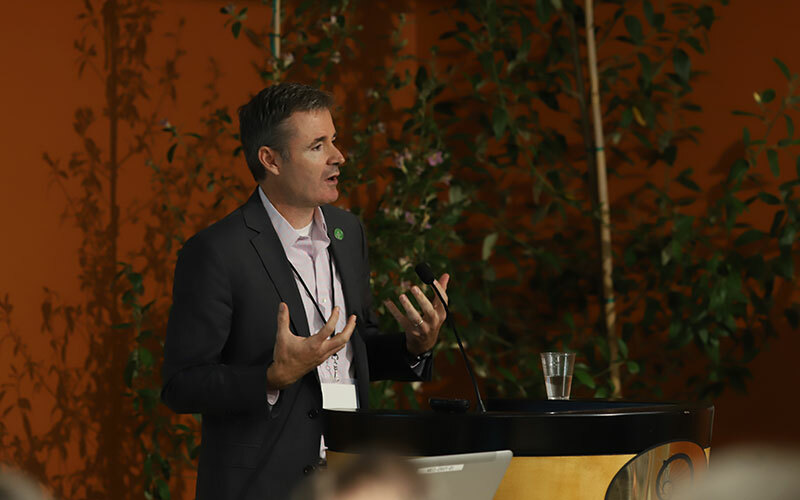 Ian Leahy, Director of Urban Forestry: This week in San Francisco amplified the feeling I’ve had that people are waking up to urban forestry as a way to bring seemingly unwieldly problems, like inequality and climate change, to a scale where people can see impacts and progress where they live. Mayor London Breed, Senator Scott Wiener, and Assemblymember Eduardo Garcia had many options this week where they could show their commitment to global climate action goals. The fact they chose a tree planting in a community of high need speaks volumes. Emily Barber, Marketing Manager: The amount of passion, intelligence and leadership at GCAS was undeniable, and I was honored to be a part of it. The threats of climate change can be overwhelming and downright scary at times, but it’s impossible to ignore the momentum this movement is gaining. GCAS proved that it will take everyone – nonprofits, elected officials, corporate leaders and citizens alike – to tackle this hurdle. But when we do, the results can be outstanding. 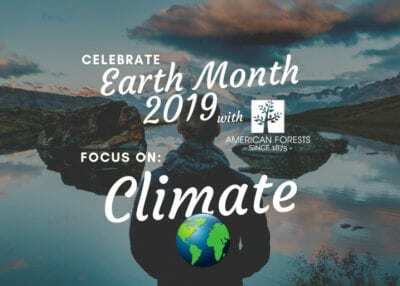 Lea Sloan, Vice President of Communications: GCAS was a perfect debut for the new, climate-focused vision for American Forests under Jad Daley’s leadership. 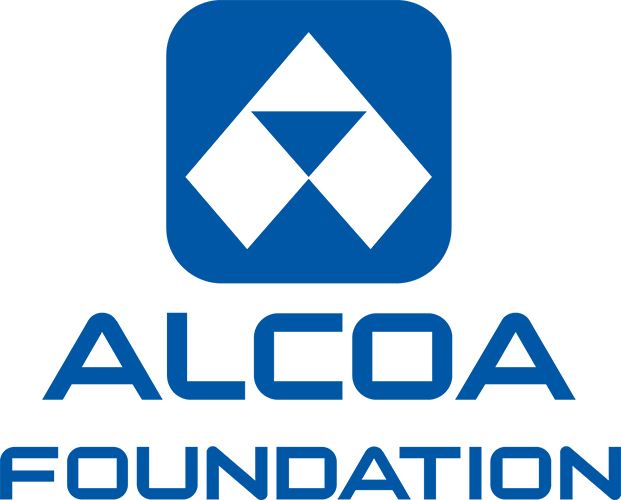 It was hugely gratifying to be recognized and appreciated as a key dynamic force among partner organizations, many much bigger and more widely known – and by their leaders and our colleagues who work for them. Jad Daley, President & CEO of American Forests, addresses a crowd on the benefits of urban forests as climate solutions. 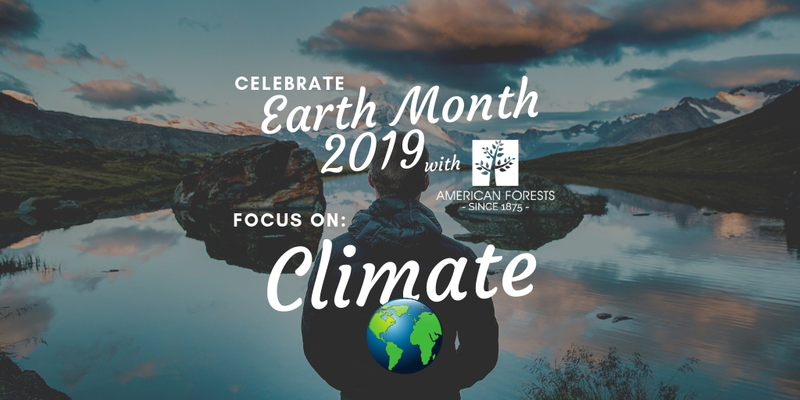 Emily Russell, Director of Major Gifts: I’m inspired every day by the work we do at American Forests, but especially at GCAS I felt so proud to be part of an organization that is truly leading a movement in promoting forests as a solution to climate change. While there is much to be done to reverse the climate threats that we as a global society face – and that we alone have wrought – I believe that we can also work together to implement smart solutions. Jennifer Broome, VP of Philanthropy: It’s been incredibly encouraging to experience firsthand all the brain power that is converging to address climate change – the single biggest collective-action challenge facing our planet in human history. To feel all the positive energy, hear the many powerful ideas, and witness the exciting actions individuals, businesses, and governments are taking has given me immense hope that we CAN solve the existential crisis that is climate change. And, I’ve discovered that in many cases we already have the tools to do it! Trees, for example. These amazing carbon-eating climate devices can slow climate change IF we protect them and plant more – a LOT more – everywhere. Something powerful is in the air – and it’s not climate change – it’s the solution to climate change!